If Mumbai is the city that never sleeps, so is Delhi. And that’s a lot of people up at night! Sevilla – The Claridges: This is one of the best fine dining restaurants in Delhi and will charm you with its ambience and a scrumptious cuisine. Housed in The Claridges hotel, Sevilla is an experience in itself. Do order the Sangria; it’ll set a fantastic mood for the evening. This is at the top of our list for things to do in Delhi for couples and we’d recommend it strongly. Especially, if you’ve recently gotten into trouble with your S.O! Music and Mountains Café: This lovely little café in Greater Kailash is simply THE place to be when you’re feeling all fuzzy and loved up. A serene ambience complete with real candle-lit lighting, beautiful, unobtrusive music in the background and food that’s heavenly…these are the elements that make this hillside café a delightful place to visit in Delhi with your partner. The Lodhi: An experience to savor together, massages at The Lodhi are all about getting pampered. A lot! 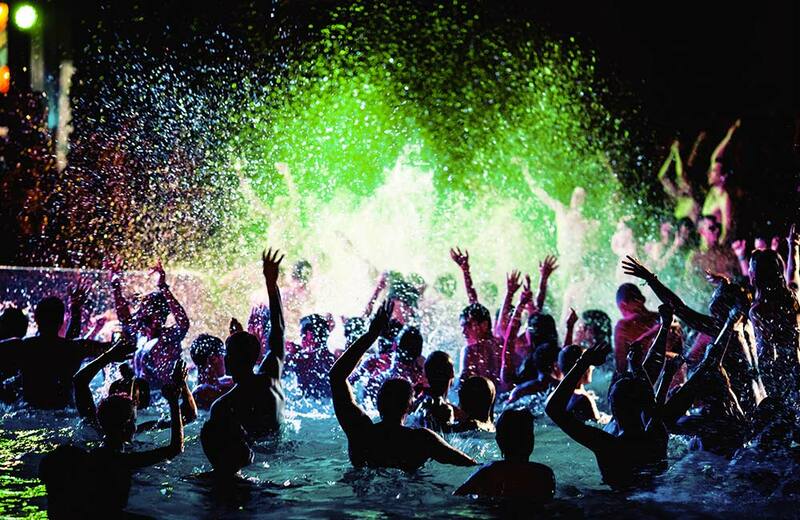 Expect plunge pools, Ayurvedic therapies and lots of conversation without any distractions. Connaught Place: Connaught Place or CP is a hubbub of people, cars and noise in the daytime. But as the day winds down, a whole new world of quiet roads and colonnaded walkways unhindered by people and impromptu souvenir sellers is revealed. Make the most of it with a walk in this gem of a place, seeped in storied history. Theatres: Delhi has a vibrant theatre scene and there’s always something on at its many venues. Take your special friend to watch a play at the very cozy Oddbird Theatre & Foundation in Chattarpur, Black Box in Okhla (this one’s an old factory turned into a performing arts space; very atmospheric), Siri Fort Auditorium, Akshara Theatre, Shri Ram Center for Performing Arts or the Kamanii Auditorium among many others. Mocha Arthouse: When all you want to do is talk to your heart’s content with a side of never-ending cocktails, head to Mocha Arthouse in Vasant Kunj, one of the best late night places in Delhi. Order your drinks, a mezze platter and lose the watch. Now, there’s a recipe for fun. Canvas Laugh Club: We’d tell you to enjoy a classical Indian music concert at the Siri Fort Auditorium or the Kamani Auditorium, but we know you’d rather have a good laugh. That’s why one of the best places to visit in Delhi with friends is the Canvas Laughter Club that keeps hosting stand-up comedy shows that are a laugh riot. Food Hubs: One of the most awesome things to do at night in Delhi is to go chasing street food. Options are aplenty: the iconic Moolchand paratha wala near the Moolchand Metro Station, Al Jawahar near Jama Masjid (that’s open into the wee hours of the night despite popular opinion), and all the food joints in front of the IIT Delhi campus and literally any place in the JNU campus, though we’d ask you to try out the Ganga Dhaba first. Delhi Cantt: We know we said to chill at Mocha. But this ‘chill’ is the kind that runs down your spine. Yes, we’re talking about haunted places in Delhi. Of course, these spook joints are not places to visit in Delhi alone at night, unless you were in a slasher movie. So gather up your friends and drive out to Delhi Cantonment because it’s rated as one of the most haunted places in Delhi. Or try catching a ghost at Sanjay Van, the Delhi Ridge area, or the Karkardooma Court. Can you imagine the stories you’ll tell for years afterwards? Old Delhi: There are many heritage walks organized throughout the city in the day time. But did you know night-time heritage walks a thing and for that matter one of the most interesting things to do in Delhi? 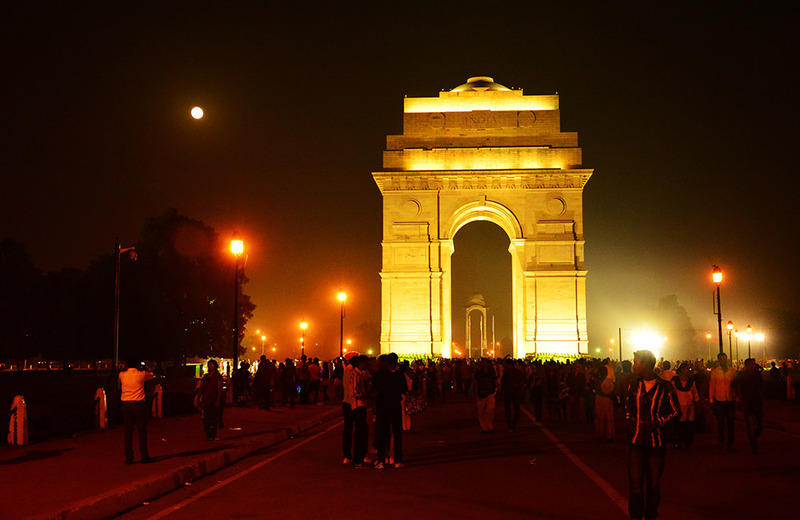 Gather up the family for a full-moon walk in one of Delhi’s oldest cities (yes! there were once many cities that’ve merged today to become Delhi) Ferozabad, surveying (and hopefully encountering a djinn) at the Ferozeshah Kotla Fort. You could tour the bazaars of Chandni Chowk; one of the oldest markets, and also one of the most culturally rich places in the city. Go down the memory lane with a walk through Mehrauli the historic first city of Delhi or go on a food trail at the Parathe Wali Gali in Chandni Chowk. Qutub Minar: We know, everyone that comes to Delhi does that. But they visit this iconic monument in the day time; has any one ever told you how much more impressive and imposing it looks at night? A UNESCO World Heritage Site, the Qutub Minar was built by Qutub-ud-din-Aibak and is an architectural marvel. Take the entire family for a visit to this towering beauty in the evening, when it is lit-up against a deep blue night sky, and get connected with history. Red Fort: Yup! This definitive Indian monument is more than just for day visits and the Prime Minister hoisting the tricolor on Independence Day every year. You can catch the sound & light show that describes the history of the fort in interesting detail, taking you through its early days when the Emperor Shah Jahan identified the spot where the fort would be built, the structure’s role in the Indian struggle for Independence starting with the First War of 1857 and its architectural elements. Comesum: What’s a family outing without a lot of delish food involved? Delhi is famous for its street food and many is the number of food outlets that spring up during the night, shutting shop only as the day breaks. Take your happy bunch to Comesum – try any of their many locations in the city – for awesome snacks and scrumptious desserts. 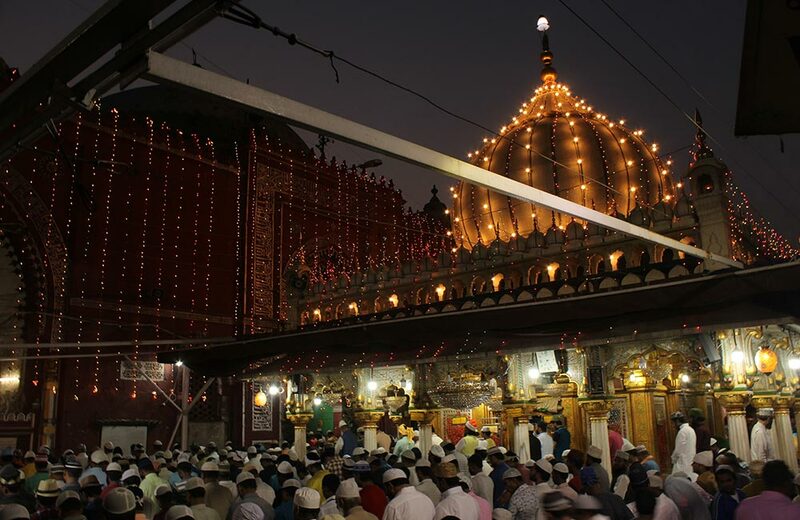 Nizamuddin Dargah: Even though the famed Sufi nights are not happening at the Dargah anymore, there’s still that peaceful vibe (paradoxically in a very crowded area!) and those mouth-watering Kebabs. This may sound like one of the most unusual things to do in Delhi, but the dargah is one of the best places to visit alone in the city. We’d recommend you take yourself out on a Kebab date and come back with a nourished soul. National School of Drama: The National School of Drama puts up wonderful student plays that are open to public. This is a great option when you want a good late night hangout place in Delhi. Catch a play at NSD and then head to the nearby Triveni Terrace Café for a delish meal for one! Delhi offers many things to many people. Whether you’re alone or with your SO or the entire extended family, there’s at least one thing do in Delhi in the night time – eat to your heart’s content or do a fun activity. Either way, you’re sure to wake up looking at the city with brand new eyes.